Police are investigating after a two-year-old was injured after falling out of a Pontiac window. 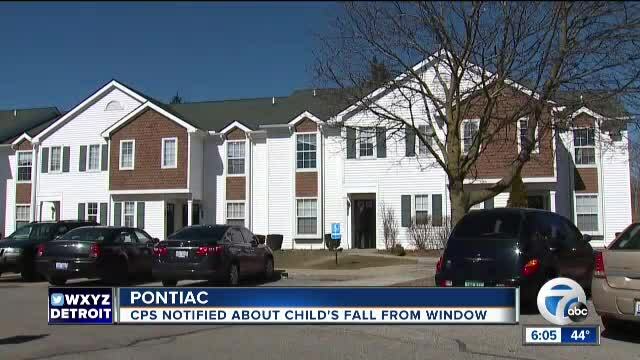 PONTIAC, Mich. (WXYZ) — The mother of the 2-year-old boy who fell out of a second story window declined to comment as she went into her home late Monday afternoon. She said that her lawyer has told her not to comment on the incident. Another relative said the child is now up and about after Sunday's fall at the Woodlake Hills Apartments in Pontiac. A witness who called 911 said there were a number of adults inside the apartment that came running outside when they heard the boy screaming. The child narrowly missed concrete splash blocks and the hard remains of an old bush that are sticking up just under the window. 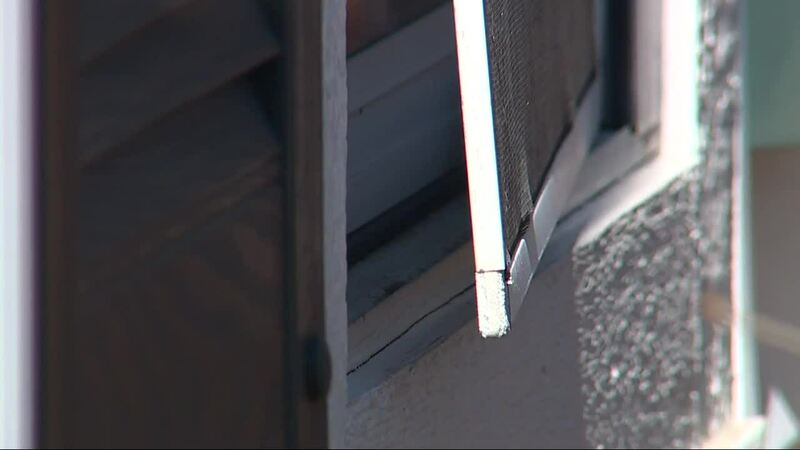 One of the boy's relatives reportedly told investigators that the window was open, with the screen in place, and the child was looking outside. A witness reported seeing the screen coming out as the child began to fall. The damaged screen was found on the ground under the window. Investigators with the Oakland County Sheriff's Office said the ledge on the inside of the window is only about two feet off of the floor and wide enough to allow the toddler to climb onto it. Investigators said they notified Child Protective Services to look into possible child neglect.